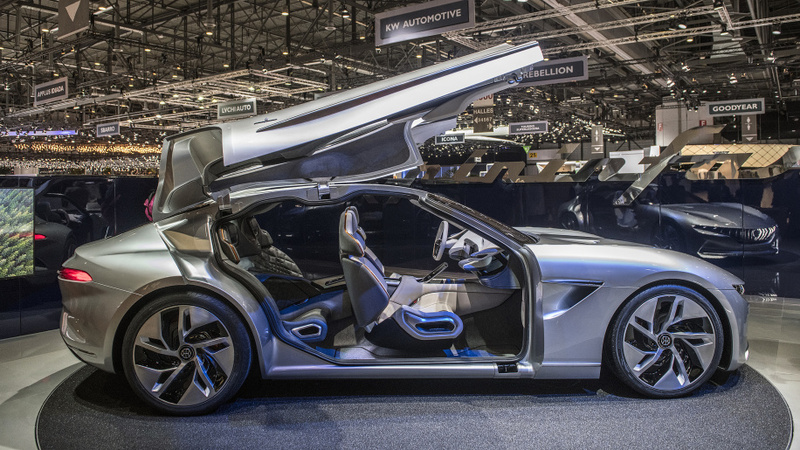 Pininfarina unveils its new concept car HK GT. It is build in partnership with Hong Kong based Hybrid Kinetic Group. This gullwinged Electric Vehicle is built on the aluminium chassis which offers all electric drive upto 100 miles that can be paired with three different range extender options. The Pininfarina HK GT's exterior shows elegance, power and sensuality. The blue and Grey color schemes makes it worth watching. Front has hybrid kinetic grille with chrome. 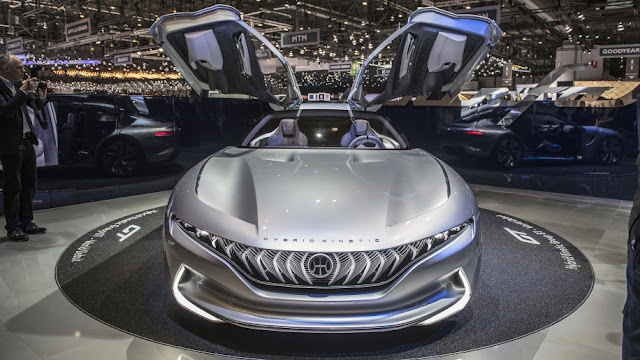 HK GT can be outfitted with three diverse range extenders: a low-emission "micro turbine" that keeps running on an assortment of energizes; a zero-emission fuel cell system; or a high-proficiency internal combustion. Pininfarina says they help push the driving extent to in excess of 620 miles. There will be two modes - Race and Gran Turismo. Race edition will have red interior lights. In Gran Turismo will have more clam blue.